better Israel: a wholly owned subsidiary of Better Holdings, Better Israel is the R&D hub of Better Holdings, as well as the sales pipeline of medical cannabis in Israel, serving over 5000 patients monthly. better Czech: a majority-owned subsidiary of Better Holdings, Better Czech is the export outlet of Better Holdings for CBD, CBG, and EpiOne treatments in the Czech Republic. better Germany: A wholly-owned subsidiary involved in both importation and domestic cultivation of safe, pesticide-free MGC (medical grade cannabis), as well as the establishment of specialized care centers across Germany, primarily treating epileptics and autistic children. better Australia: A majority-owned subsidiary of Better Holdings, fully licensed in Australia for production, sales, and export of the highest quality MGC. Our philosophy is that healthy plants are capable of repulsing pathogens and pests with their own immune systems. Ours are supported by the qualities bred into our proprietary strains, as well as a little all-natural help from our dedicated cultivators. To protect from molds, mildews, and pests, we employ a proprietary organic pesticide and disease control system, incorporating plant-based oils, supplementary probiotics, and natural insect predators. To nurture our plants and ensure uniform growing conditions, we utilize a proprietary irrigation/fertilization pipeline that uses techniques of electrolysis and oxygenation via specialized ozonators. We build our own plant care regime from seed all the way through harvest, based on raw materials. This allows us to lower production costs and control the standard and quality of all our plants. better leading position is largely the result of over a decade of intensive medical and genetic R&D which has resulted in the development and standardization of over 21 cannabis master strains with unique genetic traits. Each strain is designed for high-yield industrial production in short growth cycles, as well as high natural resistance to pest and mold – a critical trait given the company’s dedication to 100% organic growth and processing of all of its products. Our strains are renowned for delivering consistent levels and qualities of cannabinoids for a variety of medical conditions, while offering users outstanding aromas and flavors. better maintains a Genetic Bank of all of its proprietary strains, as well as additional well-known strains. Thousands of seeds and hundreds of different mother plants serve as a reservoir for future breeding. better specializes in developing strains to contain specific CBD and THC levels matched to the therapeutic and pain alleviation requirements of different medical conditions. Specific conditions for which our R&D has developed strains include epilepsy, cancer, PTSD, MS, Parkinson’s disease, Crohn’s disease, ulcerative colitis, cachexia, Tourette’s syndrome, AIDS/HIV, fibromyalgia, severe migraine, and chronic pain. Each of the treatments we offer has been extensively tested and enjoys the full trust of both health providers and patients. Yohai is an industry pioneer with over 20 years of experience in the medical cannabis industry working in research, development, industrial production, genetic development and products. One of the leading U.S. medical cannabis researchers. Former Ambassador of The Czech Republic to The State of Israel. Psychiatrist, Activist for Cannabis to treat military veterans suffering from PTSD. Head of the only PTSD trial in the U.S. Founded Gildan activewear and served as Executive Vice President. Founder of M.A.P.S, doctorate in Public Policy from Harvard’s Kennedy School. Former Israeli Minister of Health and Minister of Industry and Trade. Founder of two VC funds in the life science sector and serves as the Chairmen of Clal Insurance, one of Israel’s largest Insurance groups. Vice Chairman of the Supervisory Board of AGEL, a Czech company operating a largest chain of hospitals in the Czech and Slovak Republics. Honorary Consul of the Czech Republic in the State of Israel. (Emerita) Hebrew University. Expert in International relations women's studies & globalization. A Founder of Peace now. Founder of R2M corporation one of the most successful hospitality groups in Israel, with over 35 years of experience in hi-tech, branding & marketing. Former CEO of Assuta, the largest private hospital chain in Israel (eleven clinics , 2,900 employees, one million of patients per year. yearly revenue of US$400 million. Braden is CEO of Australian subsidiary and responsible for leadership of the business and developing strategies for penetrating new clinical markets. Formerly, Braden was CEO of a medical device company, and CTO of defense and security company. Global projects manger with 12 years of experience in high level construction and project management., Formerly foreign operations manager at Turquoise Contraction and Management Bahamas. Graduated her Doctoral studies at The Institute of Plant Sciences and Genetics in Agriculture, The Robert H. Smith faculty of Agriculture, Rehovot, holding a diverse background in plants genetics and breeding, molecular biology and bioinformatics. 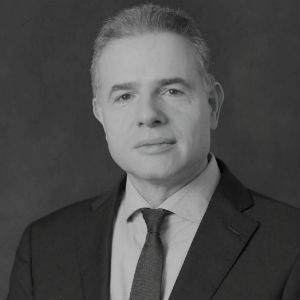 Assaf specializes in generating business development narratives and creating channels for business expansion, penetrating new markets overseas and complying within unique regulatory environments. Additionally, Assaf serves as CEO of the Israel - Czech chamber of commerce & industry. Shahar has over 14 years of experience in managing plant cultivation. He holds a Master of ScienceMSc in Agronomy from the Hebrew University and an MBA in Business Administration from the Ben Gurion University.